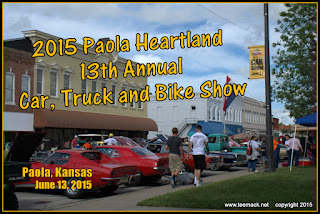 The 13th Annual Paola Heartland Car, Truck and Bike show was held at the historic downtown square in Paola, Kansas on June 13, 2015. With off and on rain most of the morining, there were approximately 200 vehicles that braved the weather. The afternoon did clear up and every body seem to have a great time. 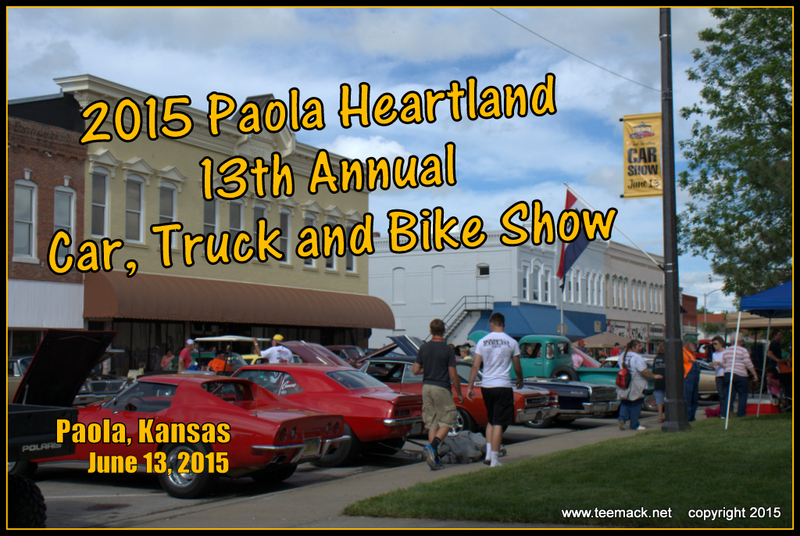 Click here to view individual photos or to purchase selective prints of the event.